Choosing a color scheme for an event is one of the most important steps in planning a wedding or event. Colors are powerful tools, you see. They carry meaning and convey messages, which are both critical to event planning. For instance, you certainly can't throw a Disney Frozen party without using the signature blue, white, and purple. There's a reason why certain pictures on Pinterest make us re-pin, and certain color combinations evoke particular feelings...there's a science behind colors. Seriously, it's called color psychology. People study colors, test them, even "create" them for branding purposes. Picking a color scheme is a very involved process, especially for wedding and event planners. No one wants to be a copycat and choose from a list of color combinations, but it's totally acceptable to get your inspiration from different things you see on Pinterest and create your own masterpiece. 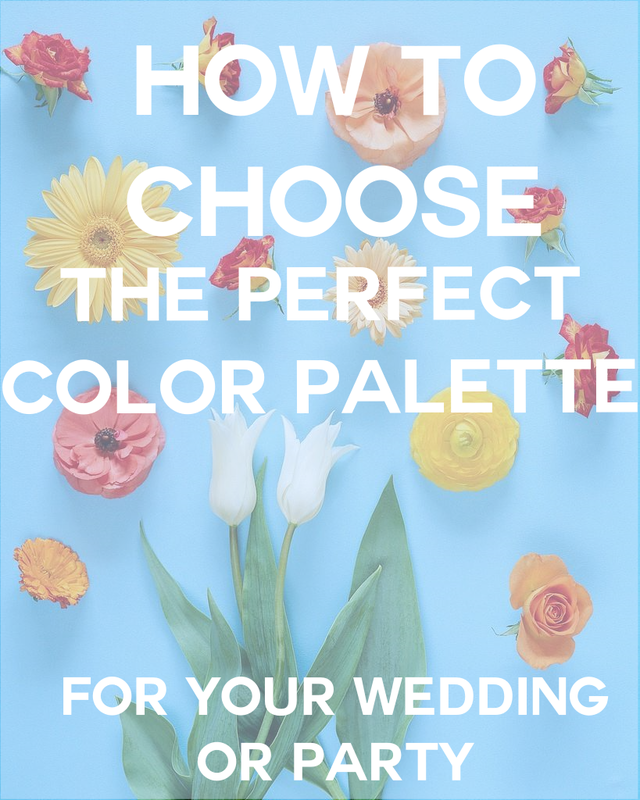 We've put together a few tips for choosing a color scheme that fits you and your wedding or party. When it comes to your wedding, you want to create a particular mood for your guests so that they're "transported" into your dream. Do you want to recreate the royal weddings you dreamed about as a child, or do you envision a casual, rustic outdoor event? Whatever mood you're trying to achieve for your wedding, think about the time of day your wedding will take place, as well as the season and weather. You've heard that color affects mood, especially in the case of decor and design. Soft colors will evoke a romantic, sweet feeling while deep colors might evoke a royal, classic mood. Your ideal color scheme might not be a good fit for your venue. See the two venues above? 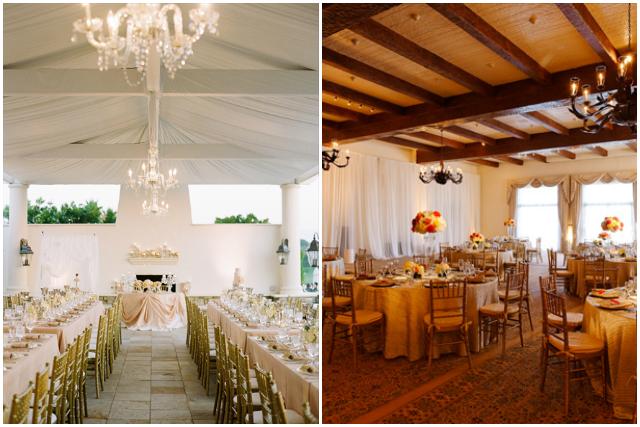 The one on the right is best suited for rustic weddings, with exposed ceiling beams and bronze chandeliers. The venue on the left, however, is an outdoor space with white flowing curtains and bejeweled lighting; that makes it perfect for a romantic or glamorous event. So, consider the space: evaluate it from floor to ceiling. Is there carpet? Are there dramatic window coverings? What's the lighting like? If you've already chosen your venue, you probably have a good idea of what you want your special day to look like. If you're still looking at potential venues, however, pay close attention to everything from the architecture to the lighting. Most of the time, the venue will let you know if they can switch out things like lighting and curtains. If you're having a difficult time creating your own unique color palette, look to nature. 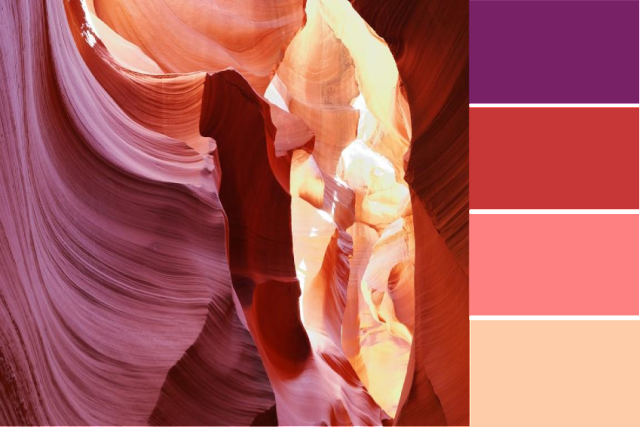 We made this color palette using a stock photo of a rock formation. There is an infinite amount of color combinations in nature, all you have to do is look for something that inspires you. For example, did you go to Ireland a few years ago and shed a few tears at the beauty of the landscape? You can use colors to evoke the same type of feelings at your wedding. Perhaps a floral pattern in nature prompted you to pull over and take a picture on the side of the road. If you're planning an outdoor wedding for the fall, take a day to go exploring in a national forest or other nature reserve. Monochromatic colors consist of multiple shades or tints of the same hue. Analogous colors are next to one another on the color wheel. They provide more contrast than monochromatic colors and are relatively easy to select. Complementary colors are usually across from one another on the color wheel. When combined, they produce either black or white. 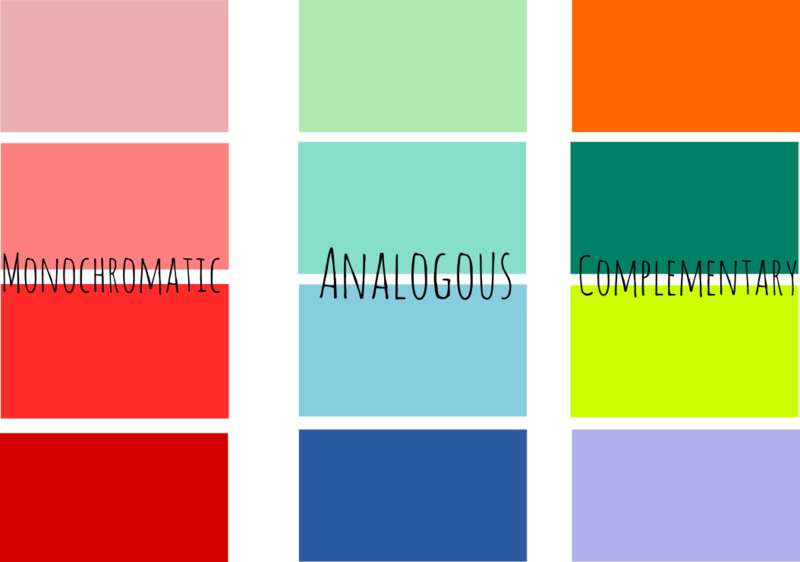 There are also sub-combinations like triadic and split complementary, if you want to dig deeper into the wonderful world of color wheel science.